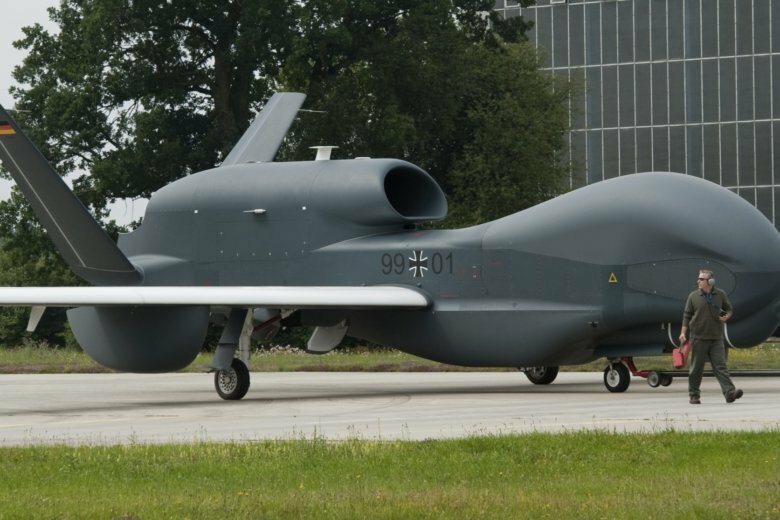 The government response, dated Sept. 19 and obtained by The Associated Press, adds that Germany isn’t currently in talks with any other country or organization about the sale of the drone. In a statement Monday, Germany’s defense ministry confirmed talks with Canada were planned, but declined to comment on a possible sales price or date. Officials at the Canadian Embassy in Berlin weren’t immediately able to comment. Last year, the government acknowledged that the development and procurement of the prototype, a signals-intelligence sensor called “ISIS” and spare parts, and the completion of seven test flights had cost about 681 million euros since 2007. A further 24 million euros were spent on preparing for a resumption of temporary test flights. According to the government’s latest response to Left Party lawmakers, which hasn’t been published yet, the drone has already been “demilitarized.” This entailed the removal of American-made radio equipment, the GPS receiver and aerials, as well as all encryption and the flight control system. Rather than laboriously delete individual software components, technicians chose to perform a “hardware uninstallation” — removing all hard drives containing sensitive U.S.-made software.